After you become a parent, you’re irrevocably bound together with the other partner in raising your children. In most cases, a separation or divorce doesn’t provide a completely clean break when children are involved. The court systems recognize the need for children to have both parents involved in their lives, and custody is awarded accordingly. There are 4 different types of child custody, and each of them means something different. Here we’ll explain in detail. When you raise a child, you have to make a lot of decisions over the years. The biggest ones involve healthcare, education, religion, and more. From picking a pediatrician to signing your child up for summer camp, a parent must have legal custody to make these arrangements. If you have sole legal custody, it’s entirely up to you. If you and the other parent share legal custody, you’ll have to continue working through your differences and make decisions together. Physical custody only concerns itself with where the child lives. If one parent has sole physical custody, the child lives with that parent. The other parent usually retains visitation rights, which are often agreed upon during the divorce. Traditionally, physical custody was awarded to the mother with the father getting weekends and part of summer vacation. But this is changing. The legal system recognizes the need for children to spend time with both their parents. If a child lives with both parents, they may even split physical custody. To make this arrangement work, the parents must live close enough for the child to continue attending the same school and extracurricular activities. For children who are not yet school age, living with each parent half the time is often easier. It’s not uncommon to award sole physical custody to one parent and allowing the non-custodial parent to spend time with the child as often as possible. However, sole legal custody is only awarded to one parent if the other parent is deemed unfit. This would be the case in domestic abuse situations. 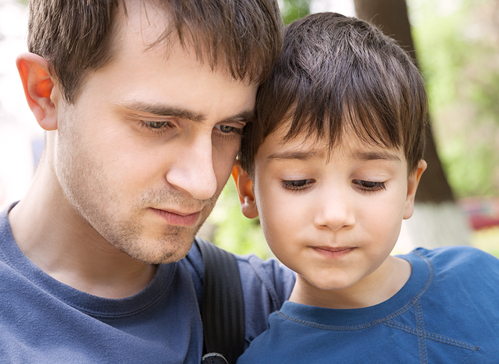 If you want to seek sole custody for your child, you must discuss this with your attorney. It’s usually a good thing when both parents are involved in making legal decisions for their child. If possible, parents should also share physical custody or take advantage of their visitation rights. Nowadays, joint custody is common. This means that both parents share the custody of their child, either in a legal or physical sense, or both. With joint custody, both parents can make decisions for their child. That means either parent can take the child to school or sign paperwork that is presented to them regarding the child, whether that’s at a doctor’s office or in school. Parents should work out a formal custody agreement to ensure that everyone is on the same page. This agreement will specify who can make which decisions and how the child should be raised in broad strokes. This could cover religion, health, education, and other topics the parents feel strongly about. The custody agreement is usually drafted for the divorce, but it may be necessary for separated parents as well. The type of custody can affect the financial situation of both parents. If one parent is awarded sole physical custody, the other parent is usually required to pay child support. This is done to ensure that both parents help with raising the child and share the cost of food, housing, clothing, schooling, activities, and more. However, the financial ramifications of child custody don’t end with child support. Your divorce attorney should also help you figure out how the situation will be handled at tax time. For example, only one parent can claim the child on their income tax return as their dependent. This changes your filing status from single to head of household, which can result in significant savings. Additionally, you may qualify for the child tax credit, but it can only be claimed by one of the parents. There are different options for solving this. The tax benefits can go to the parent who receives the most benefit from it on their return, and the other partner may receive a stipend to make up for it. Some parents alternate claiming the child each year. It’s important to finalize the arrangement in writing to prevent confusion. If you have questions about the different types of custody, The Harr Law Firm is ready to help. Use the contact form to get in touch or give us a call at your convenience.